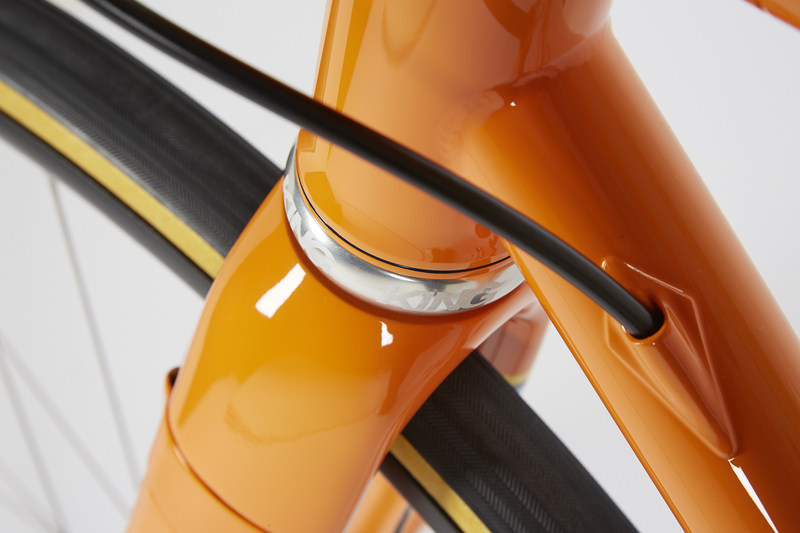 Mixing ultra-light and responsive Columbus Life tubing with decades of road racing and riding experience, the Lolo was made to dance up mountains and carve twisty descents. 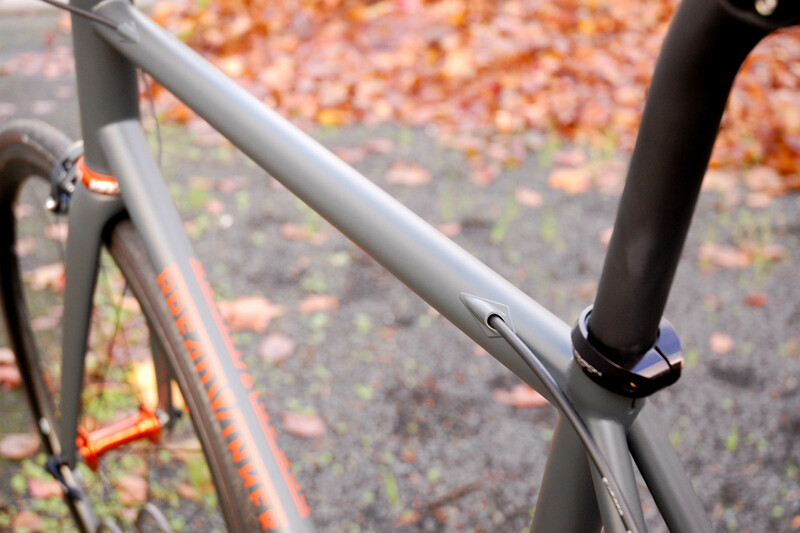 This smooth riding, light steel tubing is TIG welded with precision and fitted with an Enve carbon fork, which results in a refined performance machine. 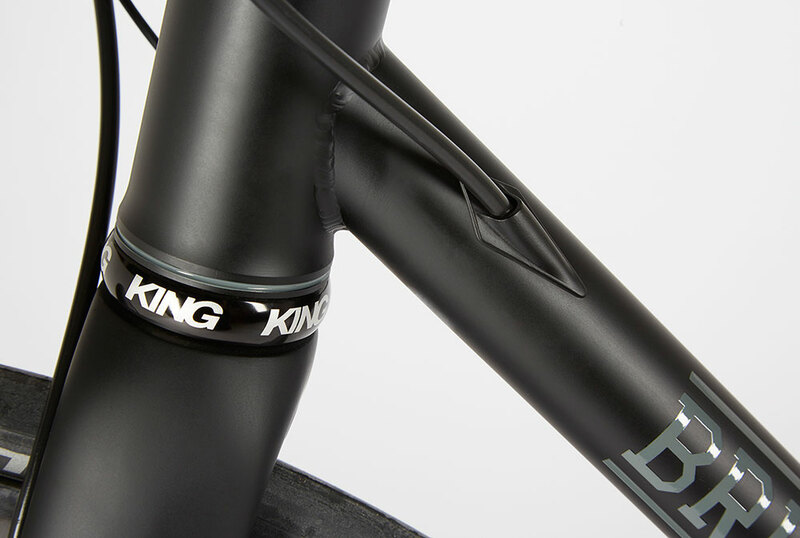 A modern road bike in design and style, with sloping top tube and double oversize tubing, the Lolo is a fast and responsive road machine that works and feels great all day long. 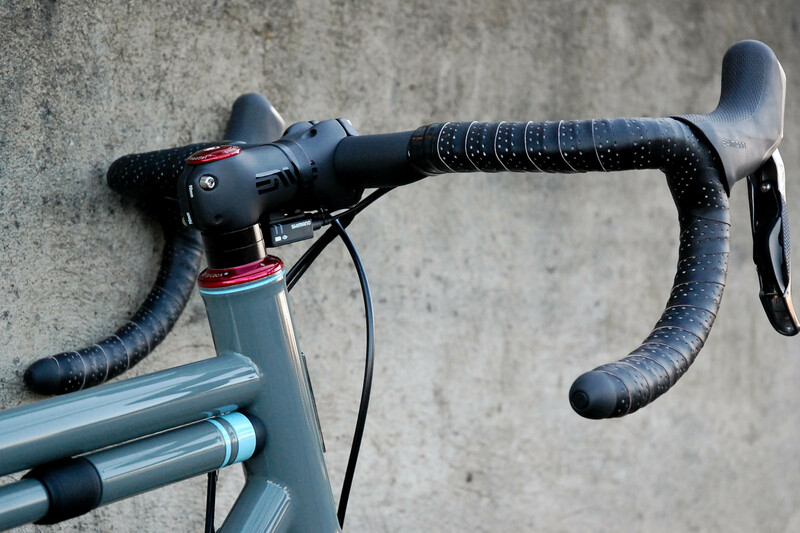 Sram Red Shifters and 3T cockpit. 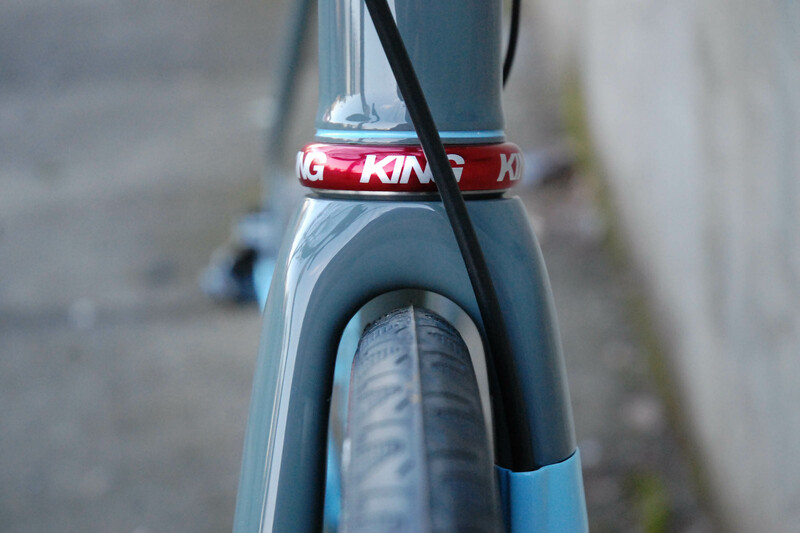 Matching Chris King components. 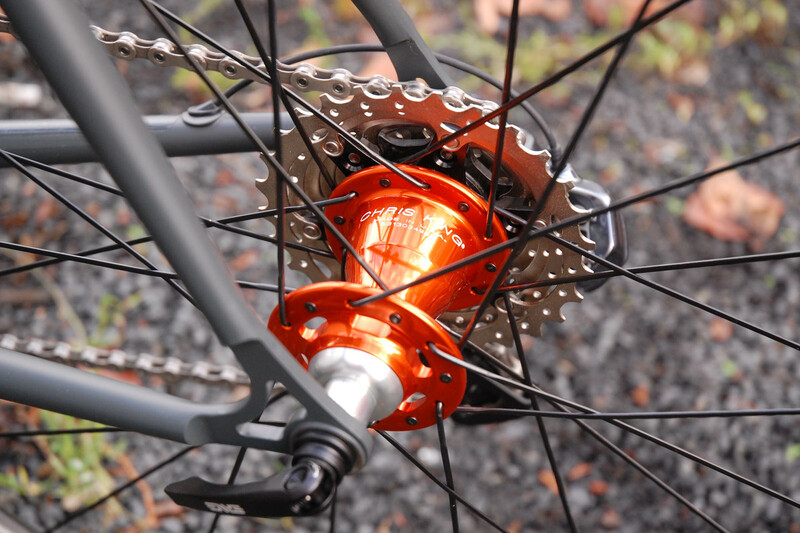 R45 hub pictured. 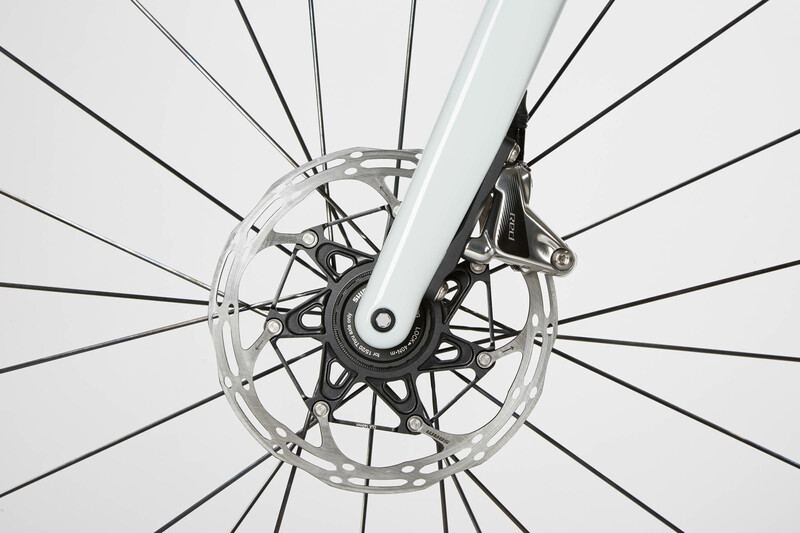 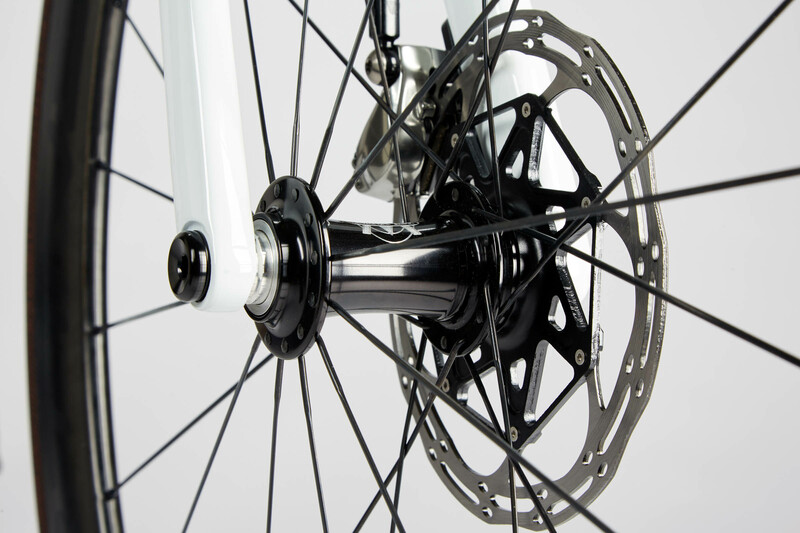 ENVE Disc Thru Axle detail. 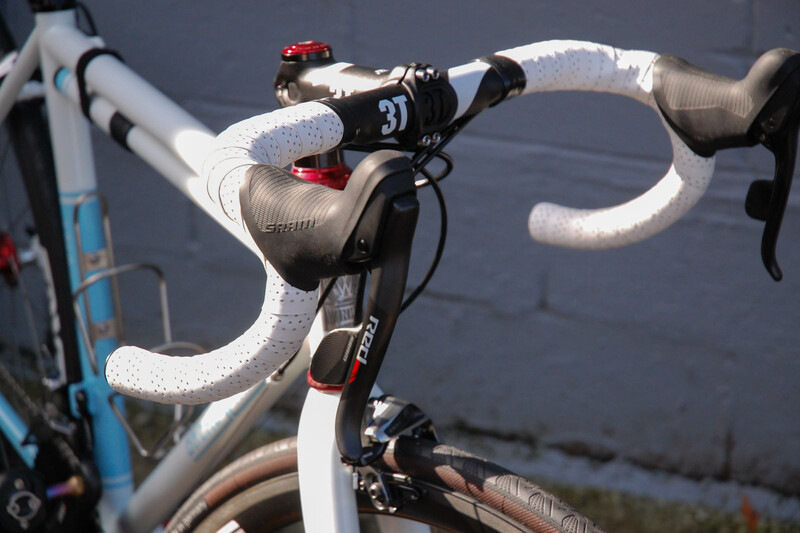 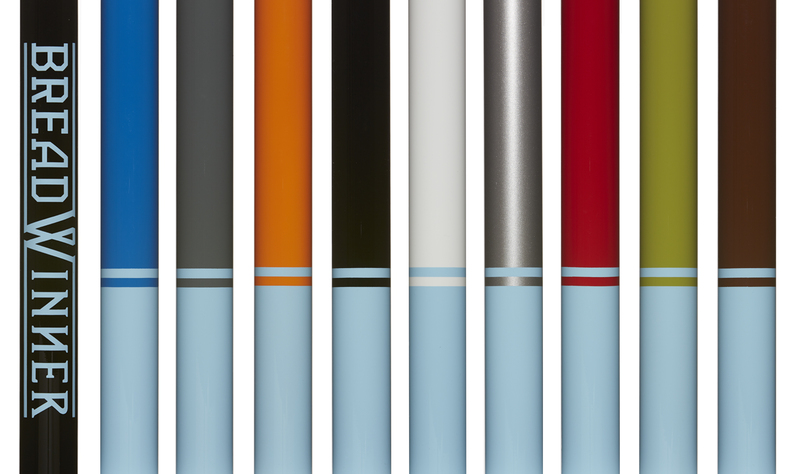 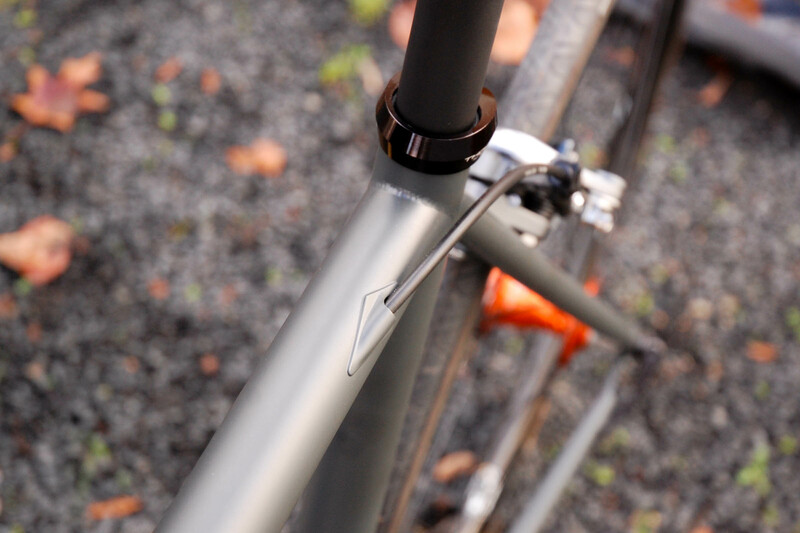 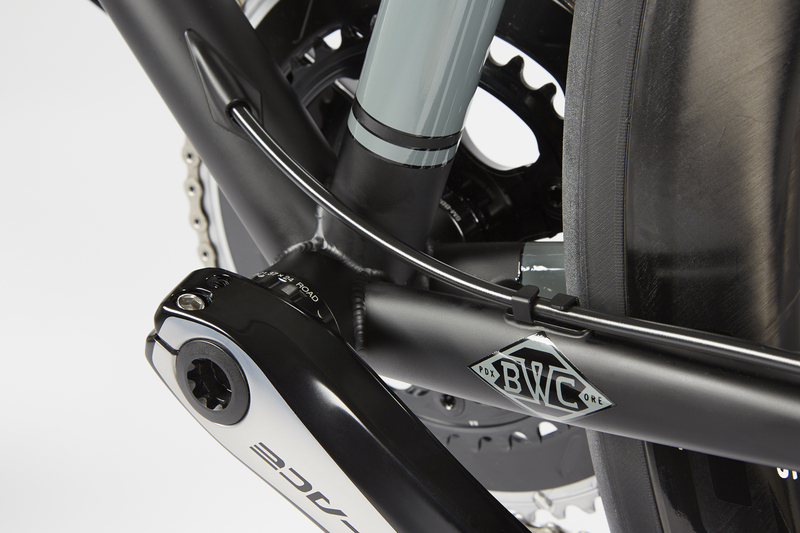 Silca Impero Frame Pump Option. 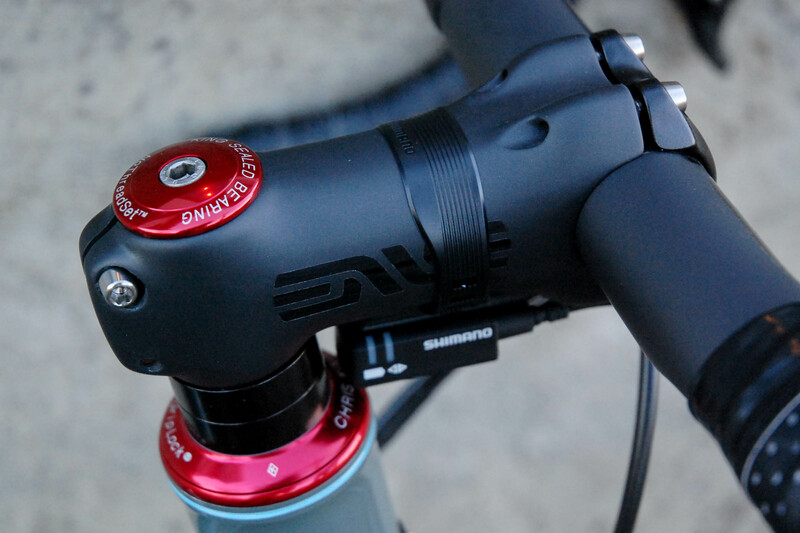 ENVE Stem and Di2 junction box. 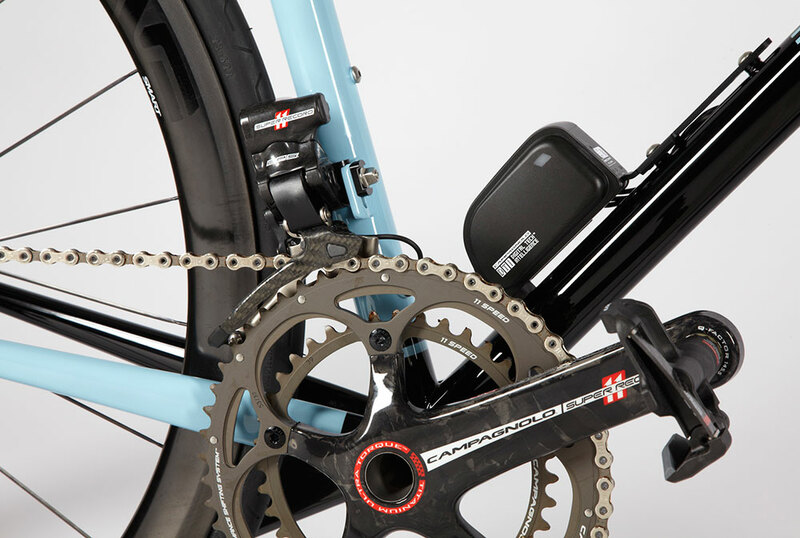 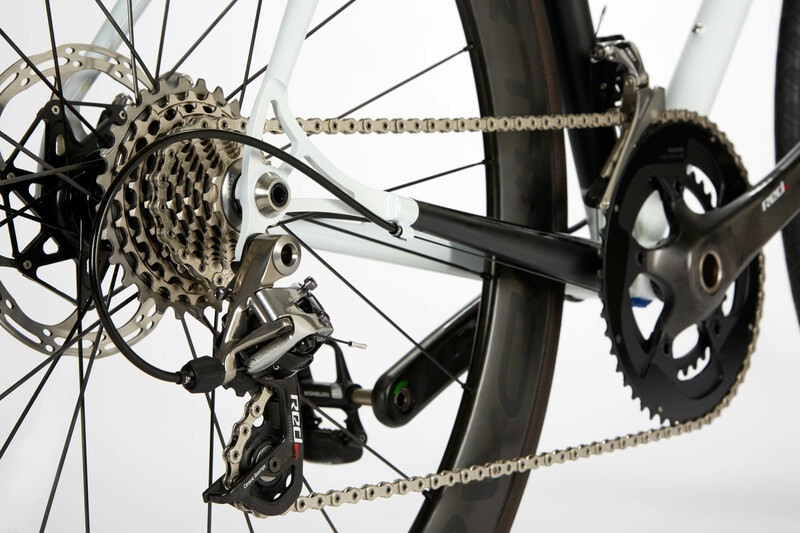 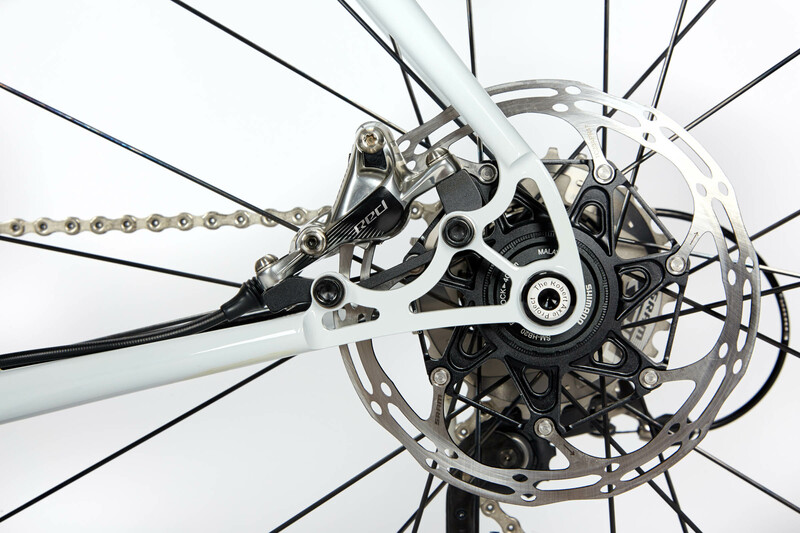 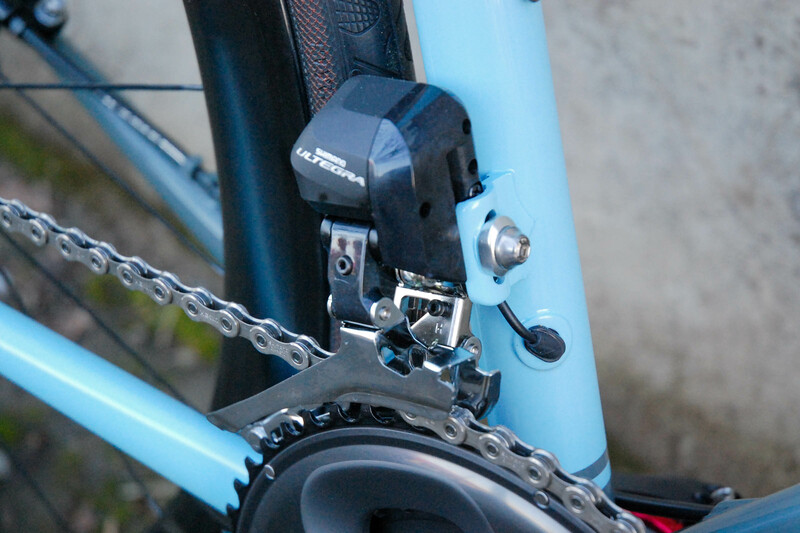 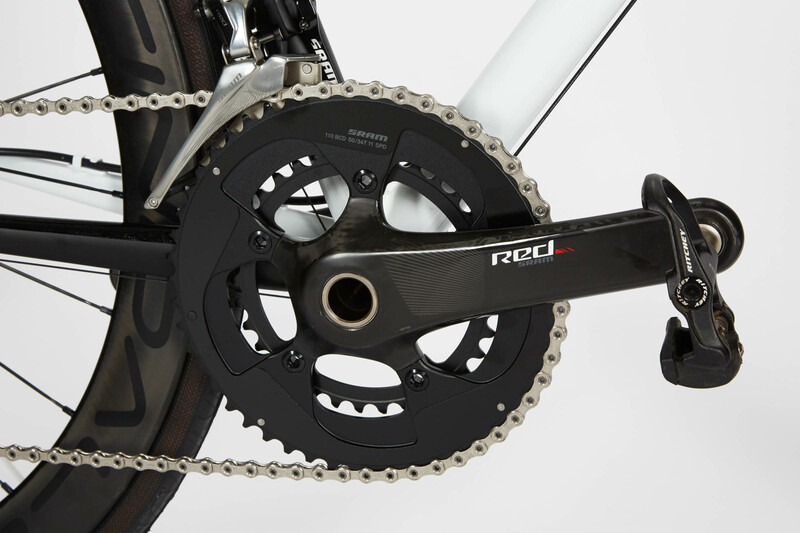 Internal Di2 cable routing standard on electronic shifting bikes. 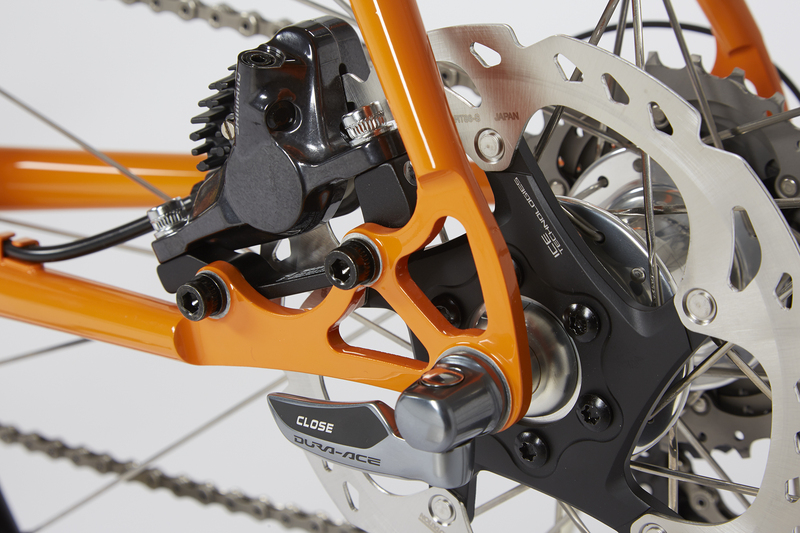 Internal cable routing for disc brake. 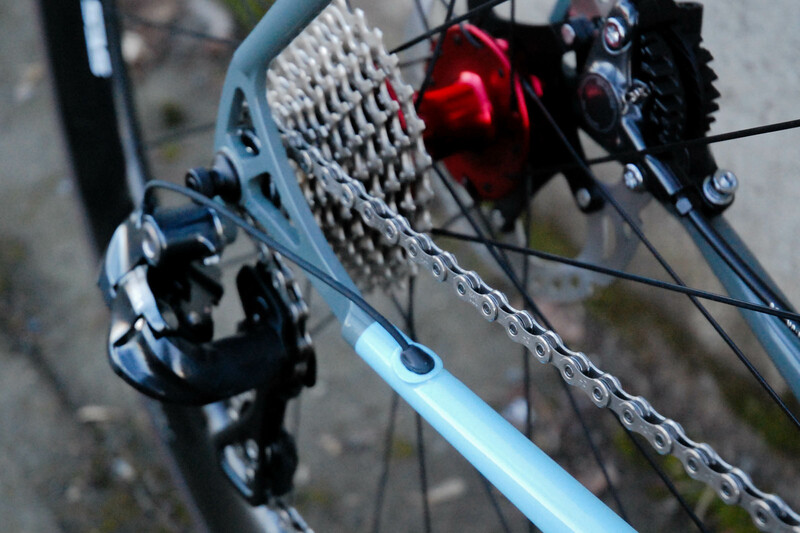 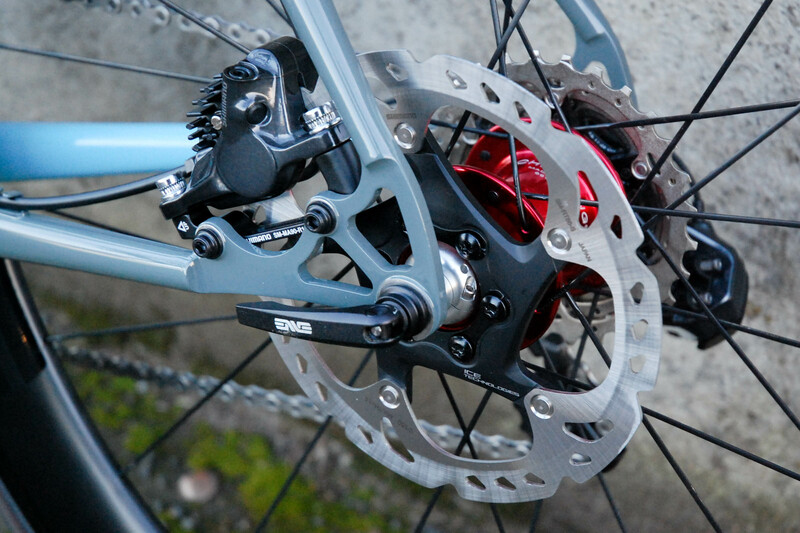 Shown with Sram RED and Breadwinner Stainless Thru Axle drop outs. 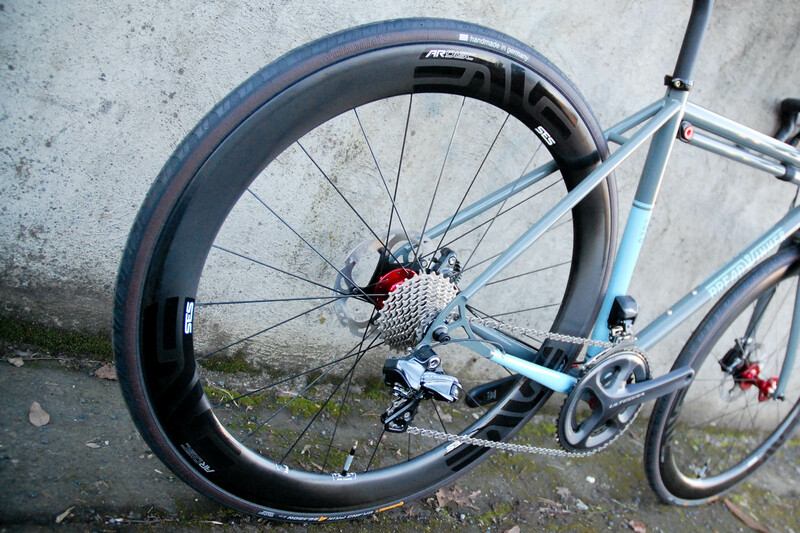 Enve rims, Continental tires and Sram RED brakes. 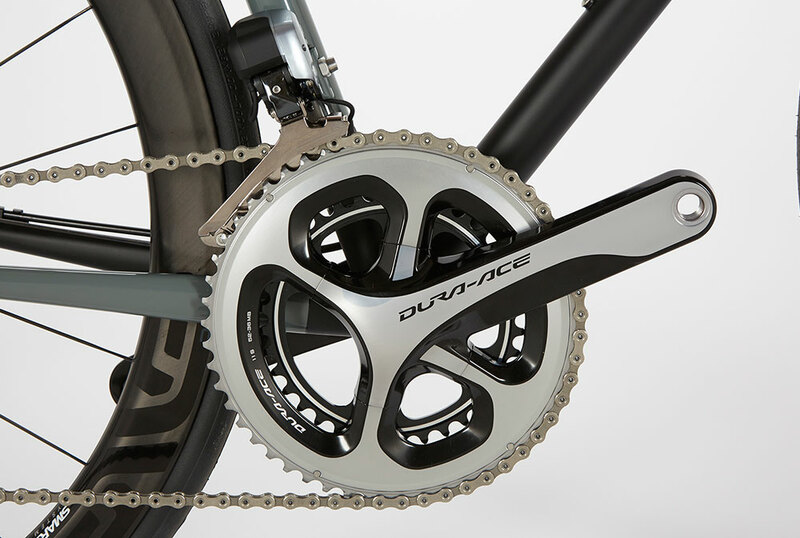 Shimano Dura Ace 9000 Cranks. 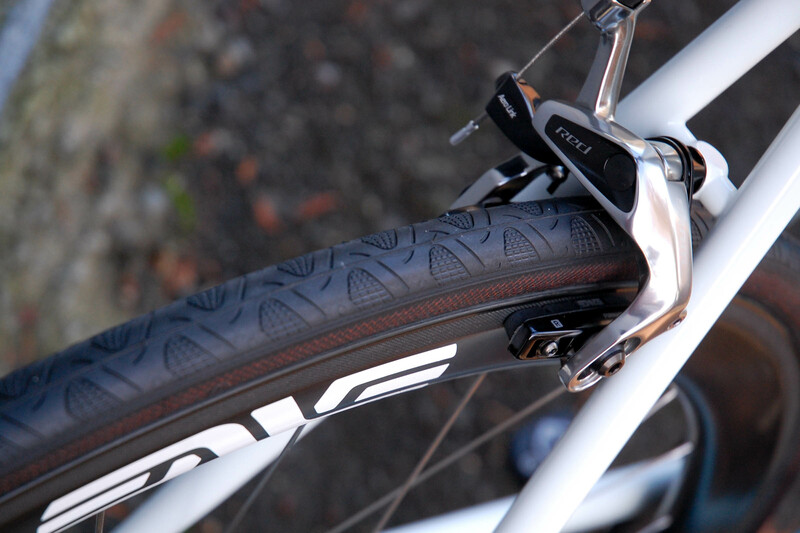 ENVE Road Disc Fork clearance with 25x Continental Gran Prix 4000. 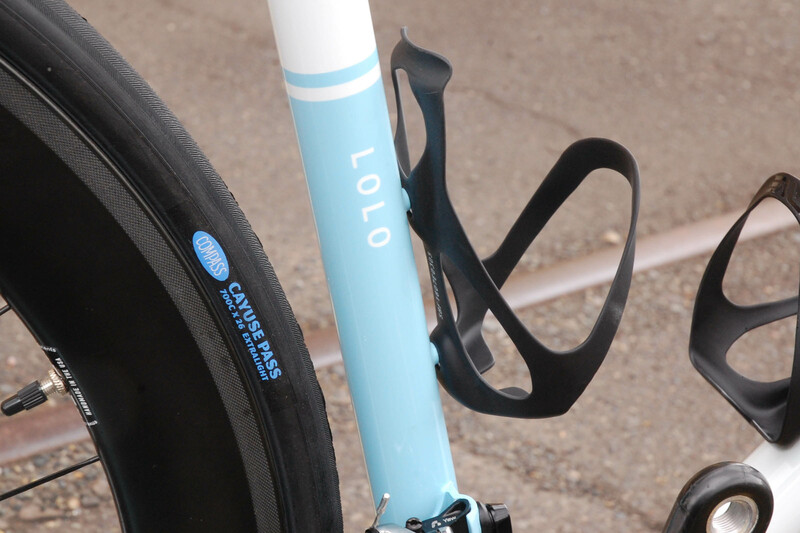 Compass Cayuse Pass tires (26c) and the Lolo. 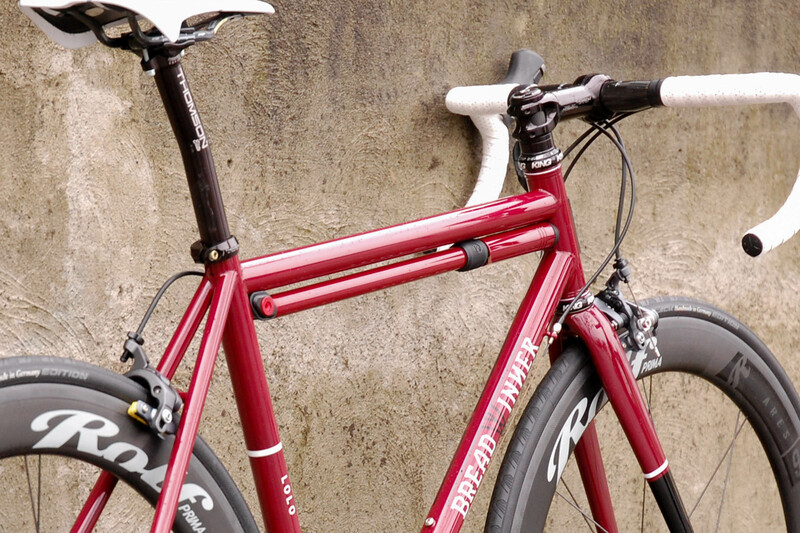 We named the bike after Lolo Pass on Oregon.